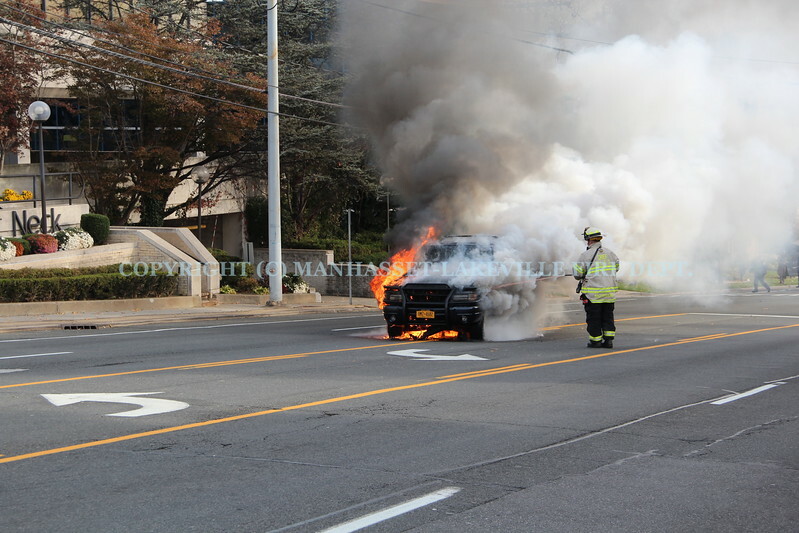 On Sunday, November 12, 2017, at around 9:14 a.m., A8767 while en route to North Shore University Hospital alerted Manhasset-Lakeville dispatch to a car fire at the intersection of Northern Blvd and Allen Drive in Great Neck. DC8703 responded from the previous aided case and arrived on scene to confirm a fully involved vehicle fire. E8735 and E8733 responded and extinguished the fire.